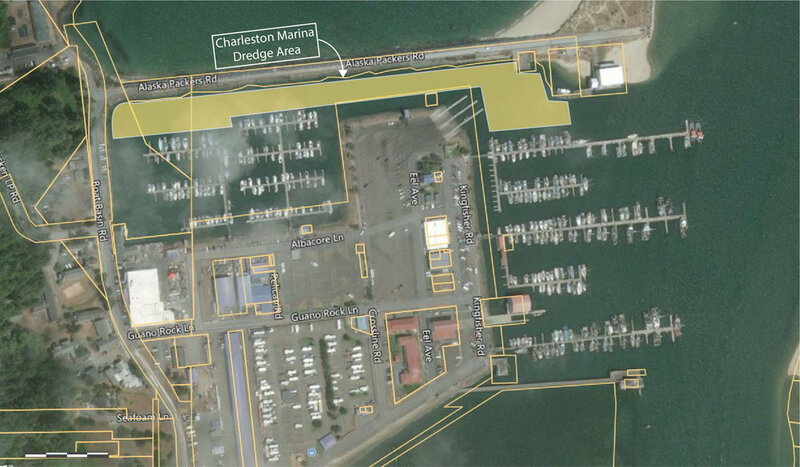 The Charleston Marina will be conducting maintenance dredging in the Charleston Marina channel and Inner Basin beginning approximately January 9, 2019. Dredging operations will take place during ebb tides and primarily during daylight hours. It is anticipated that the necessary work will be completed within 4-6 weeks. The area where work will be conducted is highlighted below. Vessel traffic and accessibility in the area identified below may be limited during dredging activities. Please contact the Charleston Marina at 541-888-2548 if you have questions regarding accessibility while dredging work is being completed. You may also tune in to CB Radio channels 13 or 16 for information and updates.